Cycling is a sport loved by many. People love it because it is completely stress-free and healthy. In addition, you get to spend a lot of time outdoors in nature. All around the world, there are biking routes or cycling trails which are very popular among cyclists. Europe cycling trails are especially popular among bike lovers. The nature surrounding the trails, famous cities with beautiful architecture, cultural attractions is what makes these trails so popular. In the following paragraphs, we will present five best cycling trails in Europe that take your breath away. The Via Francigena is a cycle route in Italy. it is the longest cycling trail in Italy and the most popular one. It used to be a pilgrimage route and it goes from the Great St Bernard Pass all the way to St Peter’s Basilica in Rome. it is a route more than one thousand years old which leads through Tuscan landscapes and beautiful Italian cities. It is a cycling route that will help you get to know Italy and we highly recommend it! 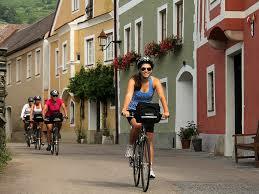 The Danube cycling path is one of the most popular cycling paths ever which follows the flow of the Danube river. It starts in Germany and ends near the Black Sea. this is a cycling route which takes you from Germany to Austria, Slovakia, Hungary, Croatia, and finally to Bulgaria and Romania. It is an impressive route which helps you get to know many countries and cultures. If you are ready to spend your holiday riding a bike and learning about many cultures along the way, try the Danube cycling path and let us know how it went. Holland is a country made for cycling. Its flat routes and amazing signposts are great for cycling. If you want to cycle in Holland, get ready for 32,000 km of cycle trails! Amazing and impressive, right? You can go anywhere you want in Holland if you like riding a bike. You can visit harbor villages, you can explore Amsterdam, the Hague and go anywhere you like. Give it a try! Spend your free time exploring Holland! You will love the Holland cycling junction network! 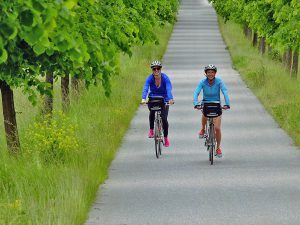 The Baltic Coast is another cycling path that you will love and enjoy. It is a cycling route that follows the coastline of the Baltic Sea in Germany. This is a route so beautiful and relaxing that you will come back to visit it again. The nature along the path is amazing. You will enjoy exploring beautiful white sand beaches, amazing cliffs, and landscapes of Germany. The route is impressive, and if you want to make a break you can always do that in a fancy restaurant near the cycling path. The Elbe Cycle Path is one of the most popular cycling paths in Europe. It is a cycling route in Germany along the river Elbe, the second longest river in Germany. When you ride a bike along the Elbe route you enjoy amazing scenery and towns. The route ends in Dresden which is one of the most beautiful cities in Germany. When you get to Dresden you will enjoy its beautiful architecture, scenery, cathedrals, and palaces. It is a cycle path worth exploring, so give it a try and tell us what you think.